Plants have a primary immune system that detects pathogen-associated molecular patterns (PAMPs) – cellular features common to groups of pathogens. Different kinds of molecules, such as lipopolysaccharides, part of the flagella (the bacterial motility organ), or proteins and nucleic acid, are recognized as PAMPs. Because these molecules are important for viability or lifestyle, pathogens are less able to evade host immunity by altering PAMPs. Receptors for PAMPs are known as pattern recognition receptors (PRRs), and they trigger general defense responses. 2Blades has supported work investigating if plants can learn to recognize new PAMPs by introducing PRRs from other plants. For example, only plants in the cabbage family have the EF-Tu Receptor (EFR). In work led by the Sainsbury Laboratory and in collaboration with academic and commercial partners, EFR has been tested in a growing list of crops, including apple, cassava, citrus, kiwi, lettuce, corn, potato, rice, strawberry, tomato and wheat. Apple saplings infected with Erwinia. Left – control plant lacking EFR; center and right -plants carrying EFR gene. Photo from M. Malnoy, Fondazione Edmund Mach. 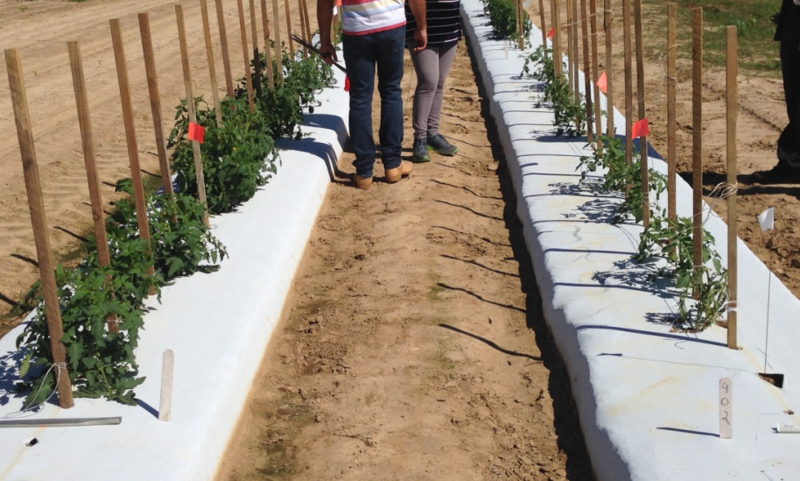 Fall 2015 tomato trials for bacterial wilt resistance, North Florida Research and Education Center. Plants on left have EFR, plants on right do not. Learn more about the plant immune system. Schwessinger B, Bagar O, Nicolas T, Holton N, Nekrasov V, Ruan D, Canlas PE, Daudi A, Petzold CJ, Singan V, Kuo R, Chovatia M, Daum C, Heazlewood JL, Zipfel C, and Ronald PC (2015). Transgenic expression of the dicotyledonous pattern recognition receptor EFR in rice leads to ligand-dependent activation of defense responses. PLoS Pathogens 11:e1004872. Schoonbeek H, Wang H-H, Stefanato F, Craze M, Bowden S, Wallington E, Zipfel C, and Ridout CJ (2015). Arabidopsis EF-TU RECEPTOR enhances bacterial disease resistance in transgenic wheat. New Phytologist 206: 606-613. Holton N, Nekrasov V, Ronald PC, and Zipfel C (2015). The phylogenetically-related pattern recognition receptors EFR and XA21 recruit similar immune signalling components in monocots and dicots. PLoS Pathogens 11:e1004602. Rougon-Cardoso A, and Zipfel C (2010). 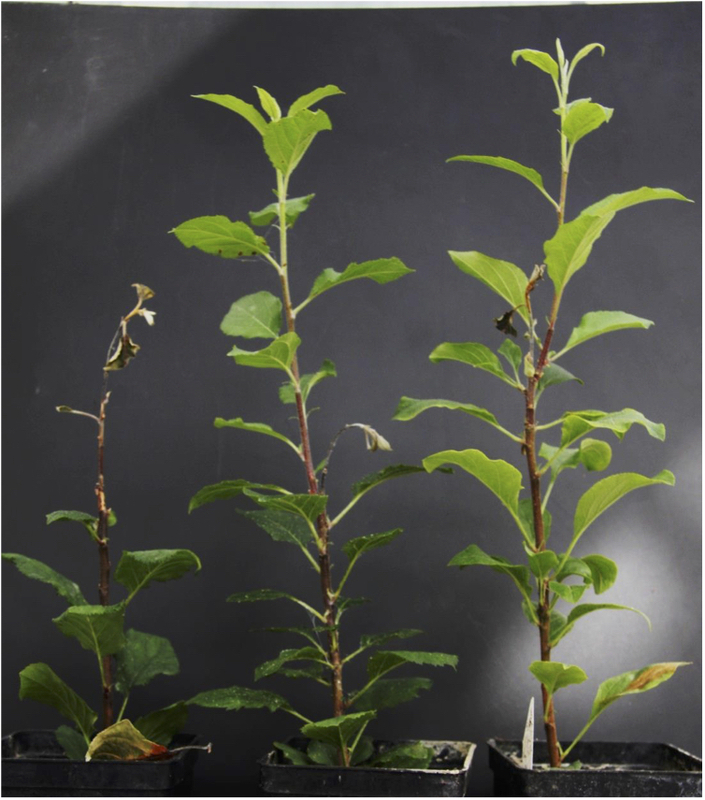 A new approach to confer broad-spectrum disease resistance in plants. Information Systems for Biotechnology News Report Issue June 2010:5-8. Lacombe S, Rougon-Cardoso A, Sherwood E, Peeters N, Dahlbeck D, van Esse HP, Smoker M, Rallapalli G, Thomma BPHJ, Staskawicz B, Jones JDG, and Zipfel C (2010). Inter-family transfer of a plant pattern recognition receptor confers broad-spectrum bacterial resistance. Nature Biotechnology 4:364-369. Ridout C, Sherwood E, Rougon A, Lacombe S, and Zipfel C (2009). Evaluation of pattern recognition receptors for durable disease control in crops. Phytopathology 99:S108.